In my constant quest for the best way to download and save online content for later re-viewing and re-watching it (without wasteful re-downloads via the browser and thus more fighting with the banners and all), i’ve come across something significant! This here is a piece of software which will always be able to stream online content. 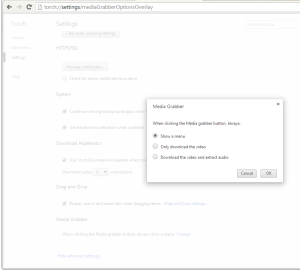 It uses your freshest setup of Flash Player and all other inter-browser setups, same like Chrome or Firefox do. Why? Cause it’s an INTERNET BROWSER!! it’s the answer to prayers of many users, and the joint venture built on Chrome’s engine and it looks alot like Chrome too (has me constantly confused, cause i use chrome as my main browser).. Many users that are not satisfied with plugins and sites that do this downloading. Those users that will love to have downloading plugin BUILT INTO THE BROWSER!!! Yes, your secret wish has come true!! mine too, kinda! =) basically i am lazy, i am very kinda retro with this, i like my browser clean and rarely install any serious plugins or extensions, take away adobe flash, cause i need that for videos, right? plus i like PageRank plugin for Chrome from MozSEO.. And I think in this case i am quite excited, i don’t need to install and support the plugin, with everchanging mechanisms all the top video sites store their streams and serve them to browsers… and here you have 100% legal program that will be supported for some time, i guess, maybe for years.. 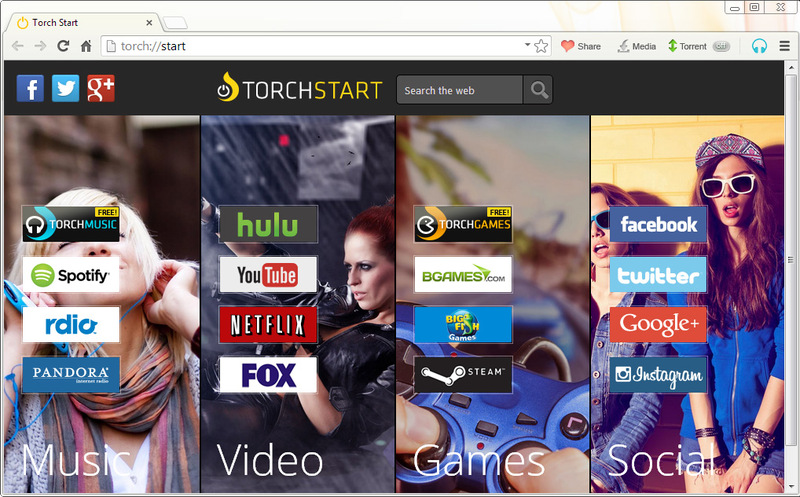 SO i decided to write this Torch Browser Review, although i will be concentrating more on the Aud/Vid downloads, but will touch up on many things..
right there on the main page of http://www.torchbrowser.com/ you will see the DOWNLOAD link – click it, save file, start it, let it do what it wants to your computer, it’s safe, Torch browser is Safe, has no spyware, no adware, nothing like that. it was made to make money, is heavily commercialized with google ads, but that is a discussion down the line… otherwise, if you don’t want to leave this site, click on this link to download Torch Browser and install it (direct link to installer file)!! 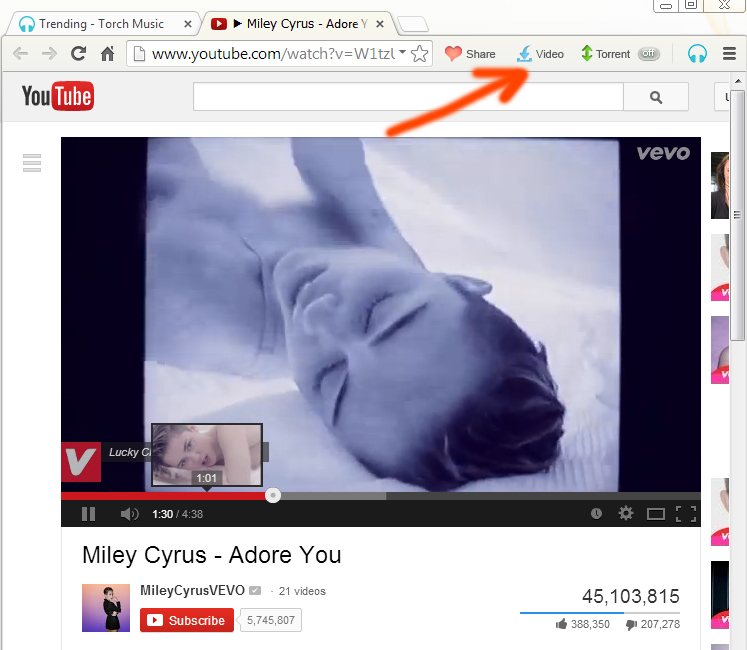 and now let’s talk about the actual idea behind this site and this Torch Review – how easy it is to use this browser for actual browsing, and simultaneously for video and audio downloads of the stuff browsed..
this very video didn’t want to download, and i am discussing it below in more details, i’ll say only it was Miley Cyrus – Adore You, and it was also featured on Torch:Music page, which automatically made it undownloadable. by design of Torch Browser creators. but don’t worry, the button works and does it very fine! try and open any random youtube video, and see how nicely it downloads. i have to mention right away, i guess, that this Download Media (or just Video) button is a tricky sneaker. 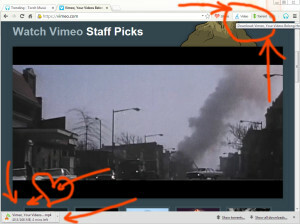 it is a smart button, when clicked, it pics the highest quality for the video, and downloads that one. what to do when you’re using TORCH on your mobile device? i bet you’d like to have a smaller, lower quality version (not the very lowest, of course) of the video, which will still display amazing on your small phone, but right there you don’t the biggest size, duh, what to say, you don’t even know if it’s the best quality or the lowest one downloading.. such downloads are integrated too, thus one click on the Video button will start the download. unless you have dabbled with the options of Torch and changed them for the button to act the way you want it to. To change the behavior of Video Download button in Torch, simplu click the Options icon on top-right, and scroll/look down to see the Media Grabber options, there you can set it to ask you what of the available qualities you want on your download, it can also download videos and audios without any questions, and the third options will be downloading video and extracting audio from it, while i think it’s kinda useless, it’s the way they made it. check the pic on the right, it shows the way options are changed there. very easy, very fast, very tidy, Torch is very comfy to download music from Soundcloud, and on top of that it also creates proper filenames, while, for example, Offliberty.com would create a meaningless filename with some hashsum that was used to code the stream… Torch, on the other hand works, for soundcloud downloads like a charm. 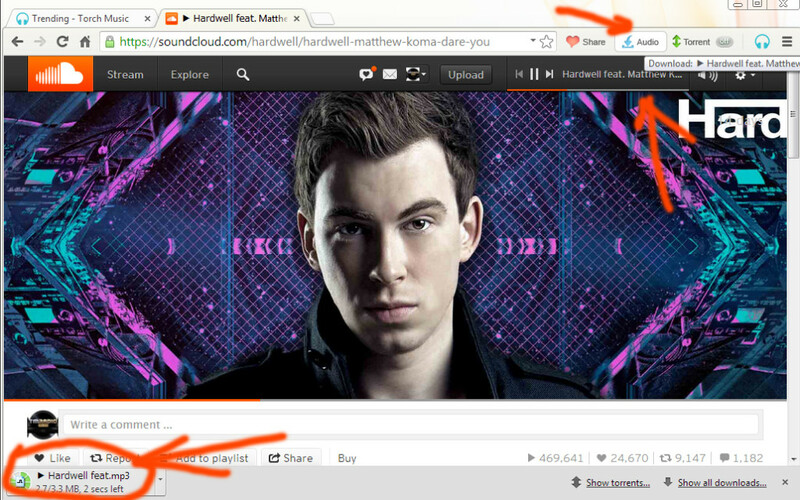 check out this pic how i was going to download Hardwell’s new track feat. Matthew Koma – “Dare You” – from Soundcloud. The red arrows show the brighter button for AUDIO download, and the arrows below show the actually downloading properly named mp3. B-E-E-E-A-U-TI-FUL!!! and yet last but not least – Torch is a great help to download video and mp3 soundtracks from Vimeo.com, check out the pic supplied, easy one-click download of HQ version of the streaming video. Nice!! setup and customize online sharing tool, it’s a bit small now. just facebook and twitter can be set, but i am sure they’ll expand it in the future. would be great if we could integrate ADDTHIS into TORCH Browser?? i’d love it, really.. i like AddThis… It’s one of the very few, maybe half a dozen sites in general, that have Page Rank 10.. Ha-ha!! Social stuff is very strong, and having their plugins on so many sites, Addthis are getting LOTS and LOTS of LINK JUICE back to their main page… good job. truly. this is what we’ve talked about all along.. let’s just summarize: Torch is up to the task on downloading video and audio from youtube and a few dozen other major sites. while plugins need special permissions and constant updates, Torch Browser will not require any special treatment, it’s got itself covered!! and it can download the video that you’re watching, yes, Torch can do it!! the best!! no, not my piece a cake. i mean, it is my scene, torrents are the stuff and i love them and use them and blah-blah, but i think a piece of software, like utorrent, that was built and perfected over the years for one single purpose – handle torrent downloads – will work and be stable and customize-able way better than this new browser that decided to have torrents as part of it.. well, no, i don’t think so.. but! i think it’s a good idea for the masses to see that torrents are OK, if browsers now support them.. Torrents are easy to use, i think more people should know that!! all one needs to do is click on the torrent file. with properly setup client it’ll be enough to start the download. what happens with direct downloads? usually it’s wait, it’s slow, it’s this and that.. while with torrents – get it from other people like you, so i love torrents…. check out this guide – why torrents are better for better understanding why torrents should be preferred to anything else!! if you do not want this feature, disable it and turn it OFF. Browser will most likely know better than any plugin when something is being streamed, thus offering the links to download them. It nicely records any streaming radio with :NNNN ports and any casting, sharing or any other live streaming point. HINT: to save such a file while it is still streaming and recording, first locate it in its folder, then simply copy it and paste into a different folder. that will copy the “current” state of the file, as much as it’s recorded so far (because any other action will cancel the download). I am giving this software 5 stars for making my wishes come true, and taking 2 stars away for all the commercialism. Awesome! Everything works smoothly. However this way not for HD YouTube videos. For somesone who want to download 4k or 1080p Youtube videos, I’d recommend Acethinker Video Downloader, It is a free cloud based software to download videos without install any software in your device. Better than torch browser.